I can’t really explain why I like this photograph except to say that there is so much going on with color and line and shape and content. There’s just a lot of information there set against a spectacular blue dusk. 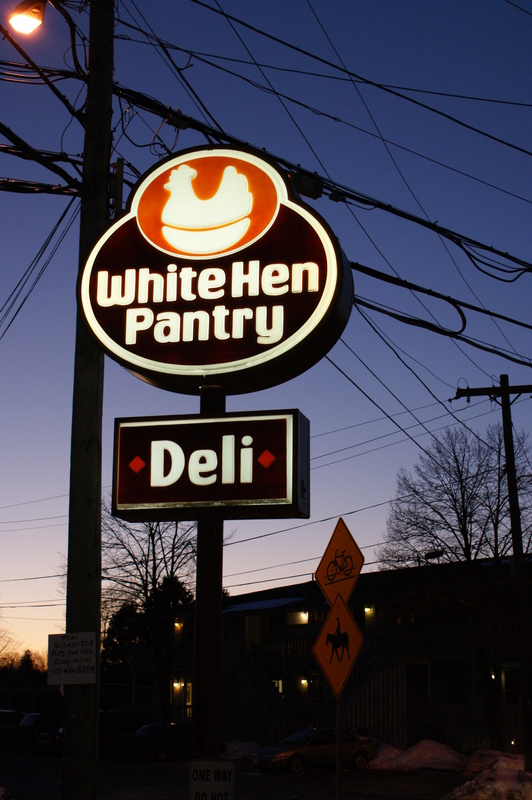 Taken in the rural community of Pepperell, Massachusetts, White Hen stores remind me of the city, and I was drawn to an urban image in a country setting. But horse crossing and hand-written schnauzer pup signs to tip you off that this is not Boston, after all. Great photo. I also think ll the criss-crossing power lines in the background give it a sort of geometric/plaid look.